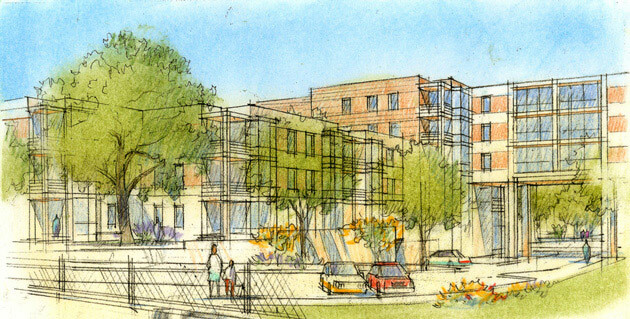 Located on a 5.5-acre triangular site just outside of Boston, MaxPac Square is a 199-unit transit-oriented neighborhood infill that includes 25 affordable housing units. Situated at the edge of a single-family neighborhood, it is bordered on the south by the reactivated Massachusets Bay Commuter Railroad. 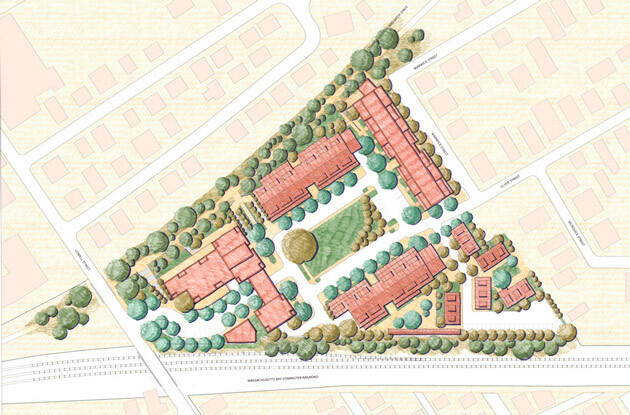 The plan is centered on a rectangular quad defined by four residential buildings, with two-story townhouse units located at the southeast corner of the site. Access to the quad is from the west via a road that passes under one of the structures. 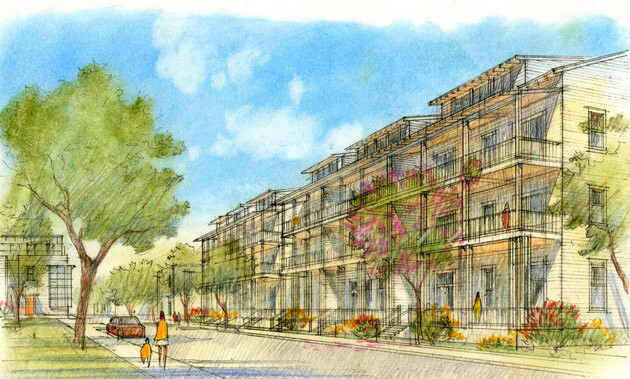 Each of the quad’s buildings is designed as a three- or four-story double-loaded stacked bar with a mix of flats, townhouses and lofts served by a subterranean garage. 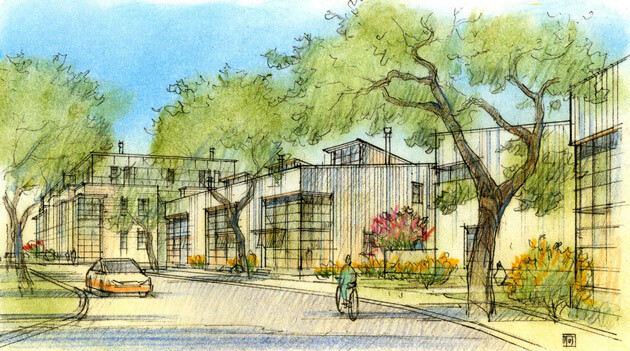 The buildings feature various traditional and contemporary architectural styles, creating a rich and diverse neighborhood fabric.